Moving a business is a lot of work. You already have enough on your plate as a business owner or manager, so when it comes time to relocate your office to or from Virginia Beach, leave the heavy lifting to the professionals: My Guys Moving & Storage Richmond. We’ve been moving offices just like yours for over 25 years, making us a trusted name for moving and storage throughout the entire Virginia Beach area. We can provide a Certificate of Insurance to your building owners. 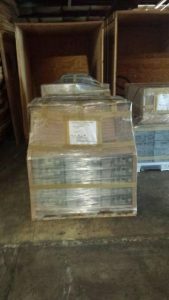 We have masonite to protect tile floors, runners to protect carpeting and pads to protect elevators. Often times an office move is needed when a business outgrows their current space. This is fantastic news that should be met with excitement. So, rather than take on a big move by yourself, let our expert office movers guide you through each stage of the relocation process. We have a wealth of knowledge when it comes to the careful handling of all office furniture and supplies, especially sensitive IT equipment. We will work closely with you to create a customized move plan that is unique to your business, so that you only get the services you really need. As a local business ourselves, we know that productivity can’t be put on hold just because you’re moving. That’s why we have designed our office moving services to work around your schedule. We work with minimal interruption to your daily operations, ensuring that you stay profitable while undergoing your move. 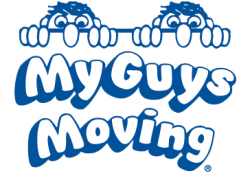 If you need to be moved in the evening or weekends My Guys Moving can help to reduce your downtime! Our moving crews also have the tools and resources to install any office furniture at your new destination, ensuring that everything stays safe and damage-free. Through the use of detailed office moving checklists, we will help you manage all of your assets and stay organized, regardless of the size of your move. All computers, printers, desks, scanners and other miscellaneous office supplies will be carefully packed, loaded and unloaded. For more information on our office moving services in Virginia Beach, please contact us, or fill out our online estimate form for your free moving quote.